This is our fourth State of the Climate report. 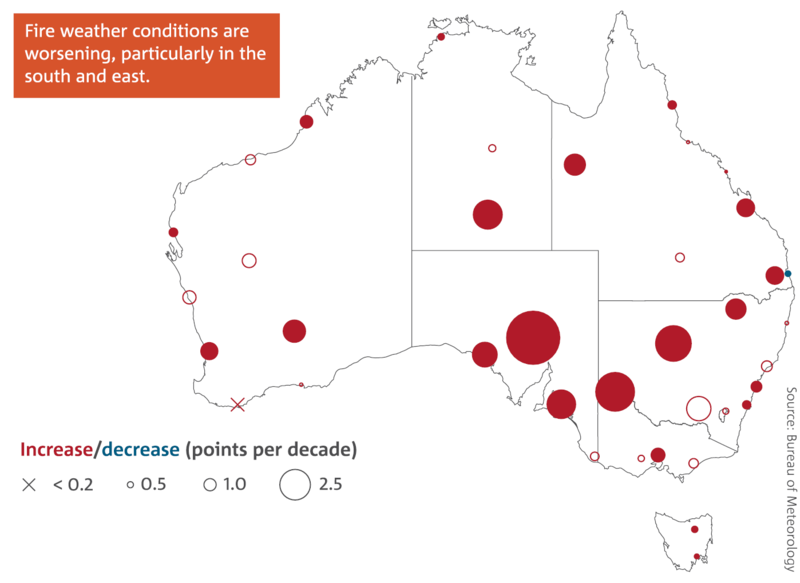 The report focuses on observations and data which show how the climate is changing. 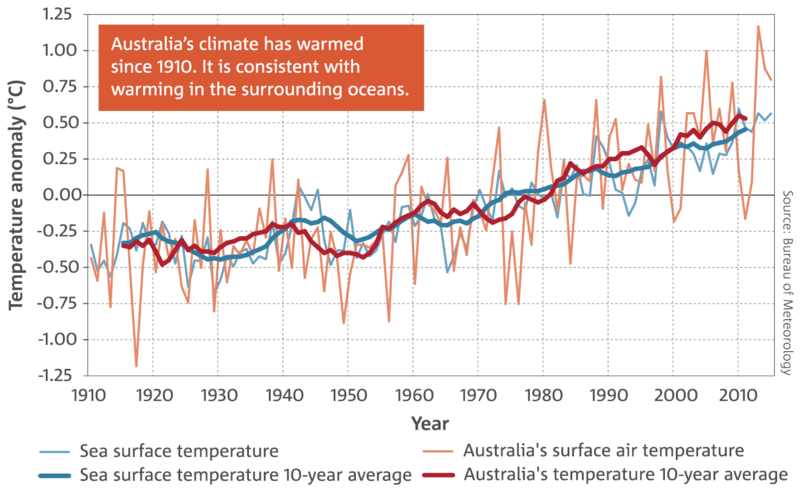 Since 1910, Australia and the surrounding oceans have warmed by around one degree. And whilst not every year will be warmer than the last, the overall warming trend is projected to continue. We expect fewer cool days and more hot days. Since the 1970s, there has been an increase in extreme fire weather, and the season is longer. We expect more fire weather days, especially in southern and eastern Australia. Australian rainfall is variable, naturally swinging between very wet and dry. However long-term changes in rainfall are occurring. In the last few decades northern wet season rainfall has been very much above average. 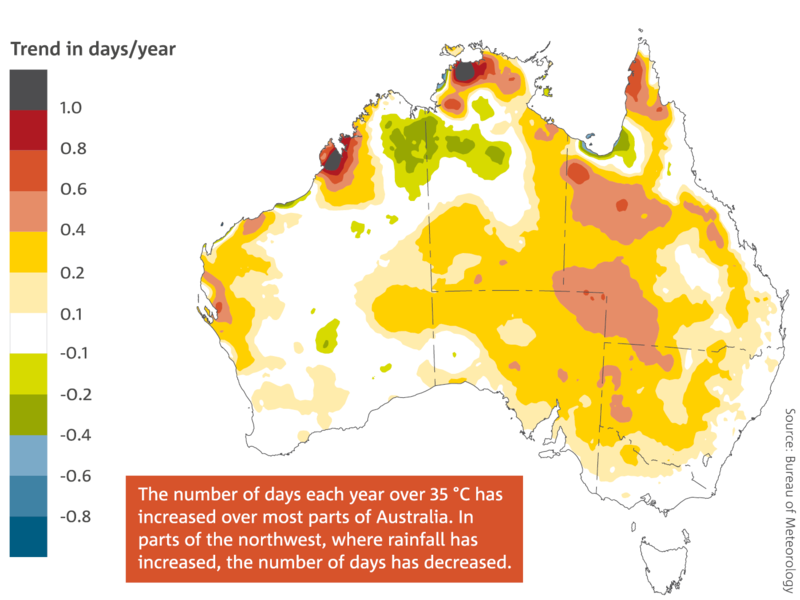 During the April to October growing season there has been an overall decline in rainfall across southern Australia, especially in the southwest. Southeast Australia has seen below-average rainfall in sixteen of the past twenty growing seasons. 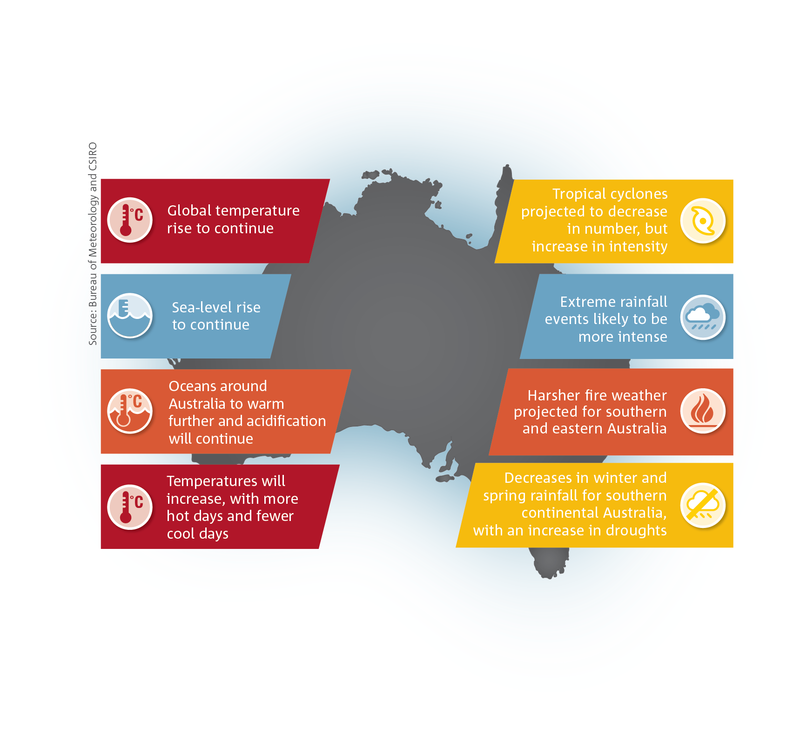 We expect winter rainfall across parts of southern Australia to decrease, with more time spent in drought. 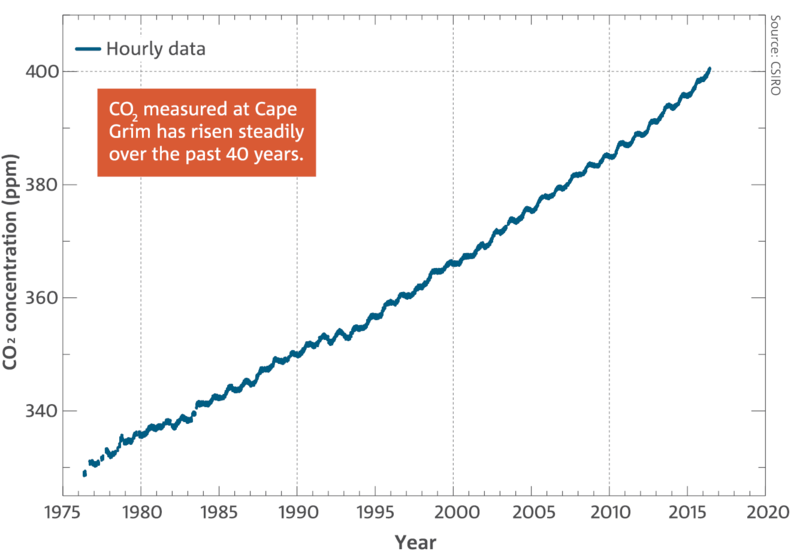 The oceans around Australia have warmed and there is an increased level of acidity. We expect these trends to continue. 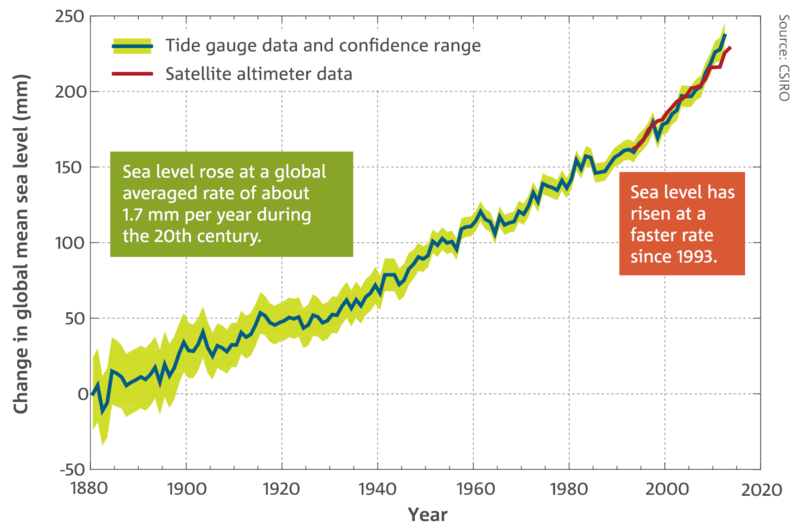 Sea levels have risen globally and around Australia, and are projected to rise further in the future. For more information, and to understand more about our changing climate, visit our websites.